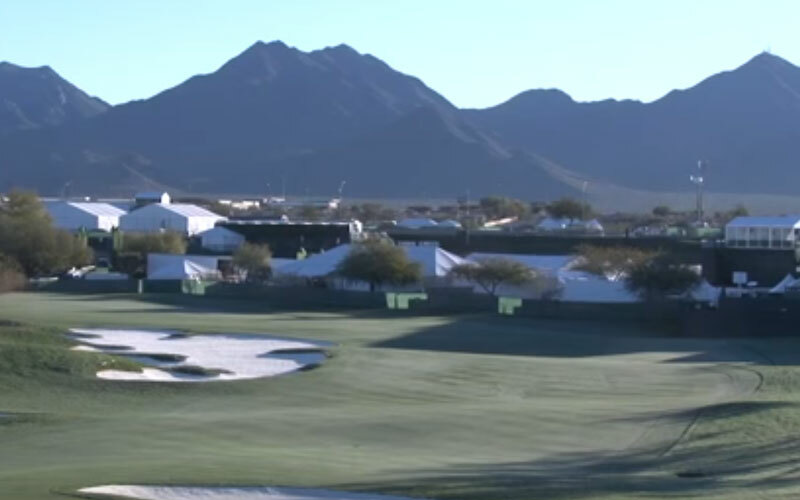 SCOTTSDALE – The record-setting crowd of more than 600,000 who attended the Waste Management Phoenix Open at TPC Scottsdale in February suggests golf has never been more popular. Rickie Fowler and eventual tournament champion Hideki Matsuyama riveted the audience in the final round, battling through a four-hole playoff before Matsuyama emerged victorious. But there’s growing concern in the industry that events like the Phoenix Open are covering up troublesome trends threatening to plague the sport. According to the National Golf Foundation, just 8.5 percent of Americans aged 6 or older played a round of golf in 2014, the lowest recorded total in at least 20 years. As interest in the sport dwindles, the Phoenix Open is the exception to the rule, thanks to its 16th hole party atmosphere driven largely by 20-somethings. Should golf take a hint? In 1997, golf leaders developed an initiative called The First Tee, geared toward attracting young golfers to the game. The program’s growth paralleled the rise of Tiger Woods in the sport. Since 1997, the program has attracted 10.5 million golfers, including 4.1 million in 2014, according to PGA Commissioner Tim Finchem. Considered one of the most dominant players in the history of the game, Woods owns 79 tour victories, including 14 major championships. At the height of his career, his immense appeal turned golf tournaments into appointment television, but since the middle of 2013 injuries have hindered Woods’ ability to compete. Over the past two years, Woods has competed in only 18 tournaments, making just 11 cuts and recording just one top-10 finish. Bob McNichols, general manager of the Longbow Golf Club in Mesa, aid the sport needs to find a compelling character who can restore the sport’s television attraction and, in turn, inspire younger competitors. Woods’ decline has had ripple effects throughout the game. Tour pros are now vying for a sizeable market share of fans as young golfers look for the next household name to emulate. Emerging fan favorites like Jordan Spieth, Brooks Koepka and Fowler are revitalizing the game with low scores and a flair for the dramatic. They are also taking to heart the opportunity to become role models for the next generation. Though skeptics have expressed concerns about the future of the sport, Koepka believes the younger golfers he’s watched possess the talent and skills to spark new interest in the game. Few states are as critical to the future of golf as Arizona, which enjoys a dry, desert climate, allowing young players to hone their skills year-round. Many younger golfers, including Arizona State freshman golfer and Xavier Prep product Madison Kerley, say competing in the Phoenix area offers an unparalleled advantage. “I think it’s the weather, honestly. A lot of states don’t get to play all year, so the number of golf courses we have, the year-round weather, it’s easy to be pretty good from here,” Kerley said. Thunderbird High senior Scott Redelsperger attributes much of his success as a golfer to his ability to play throughout the year. An Arizona native who spent part of his childhood living in Montana, Redelsperger said the competition is fierce in his home state, but that the difficult nature of local tournaments helps breed more talented players. Redelsperger was among a large contingent of high school golfers who attended the Phoenix Open, where young players enjoyed their lone annual opportunity to watch a PGA Tour tournament in Arizona. Tour pro Daniel Summerhays offered a skills clinic to high school players at the Phoenix Open. He said he makes events like the Phoenix Open a priority because of the opportunity to build connections with young golfers and grow the game. Though the future of golf remains uncertain, the record crowds at the Phoenix Open and promising statistics of junior golf participation suggest a market for the sport still exists. According to the National Golf Foundation, 3.2 million juniors played golf in 2015, the highest recorded total since 3.8 million juniors played at the height of the Woods era in 2005. While participation across the sport has dropped 17 percent over the last 10 years, an increasing amount of juniors, females and beginners have taken to courses during that span, which may be precisely what the golf industry needs to thrive in the future.